Beddington JR and Cooke JG (1983) The potential yield of fish stocks. Food and Agriculture Organization (FAO) of the United Nations. Fisheries Technical Paper 242, 50pp. Clark CW (1985) Bioeconomic Modeling and Fisheries Management. New York: Wiley. Clark WG (2002) F35% revisited ten years later. North American Journal of Fisheries Management 22: 251-257. Garcia SM (1996) The precautionary approach to fisheries and its implications for fisheries research, technology, and management: an updated review. Food and Agriculture Organization (FAO) of the United Nations. Fisheries Technical Paper 350/2, 75 p.
Getz W and Haight RG (1989) Population Harvesting: Demographic Models of Fish, Forest, and Animal Resources. Princeton: Princeton University Press. 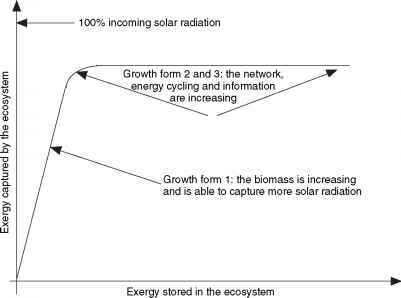 Hilborn R, Walters CJ, and Ludwig D (1996) Sustainable exploitation of renewable resources. Annual Review in Ecology and Systematics 26: 45-67. Larkin PA (1977) An epitaph for the concept of maximum sustainable yield. Transactions of the American Fisheries Society 106: 1-11. Mace PM (1994) Relationships between common biological reference points used as thresholds and targets of fisheries management strategies. Canadian Journal of Fisheries and Aquatic Sciences 51: 110-122. Maunder MN (2002) The relationship between fishing methods, fisheries management and the estimation of MSY. Fish and Fisheries 3: 251-260. Maunder MN (2003) Is it time to discard the Schaefer model from the stock assessment scientist's toolbox? Fisheries Research 61: 145-149. Pella JJ and Tomlinson PK (1969) A generalized stock production model. Bulletin of the Inter-American Tropical Tuna Commission 13: 421-496. Punt AE and Smith ADM (2001) The gospel of maximum sustainable yield in fisheries management: birth, crucifixion and reincarnation. In: Reynolds JD, Mace GM, Redford KR, and Robinson JR (eds.) Conservation of Exploited Species, pp. 41-66. Cambridge: Cambridge University Press. Quinn TJ, II and Collie JS (2005) Sustainability in single-species population models. Philosophical Transactions of the Royal Society of London Series B Biological Sciences 360: 147-162. Quinn TJ, II and Deriso RB (1999) Quantitative Fish Dynamics. New York: Oxford University Press. Schaefer MB (1954) Some aspects of the dynamics of populations important to the management of the commercial marine fishes. Bulletin of the Inter-American Tropical Tuna Commission 1: 25-56. Walters CJ, Christensen V, Martell SJ, and Kitchell JF (2005) Possible ecosystem impacts of applying MSY policies from single-species assessment. ICES Journal of Marine Science 62: 558-568.